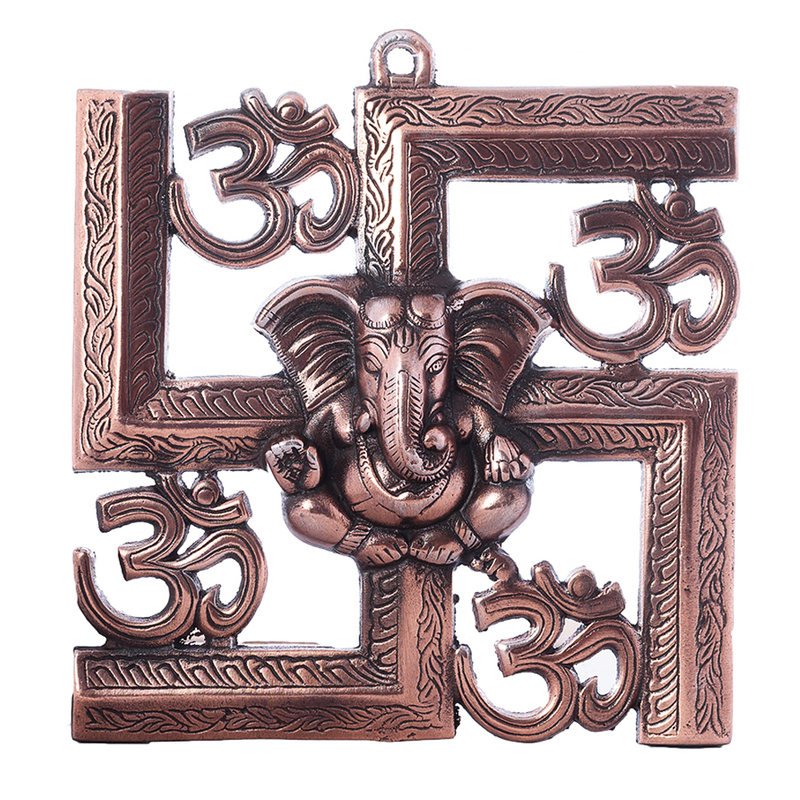 It is a known fact that OM, swastik, and Lord Ganesha together can create miracles I your life and that is what this beautiful wall Read More..hanging signifies. 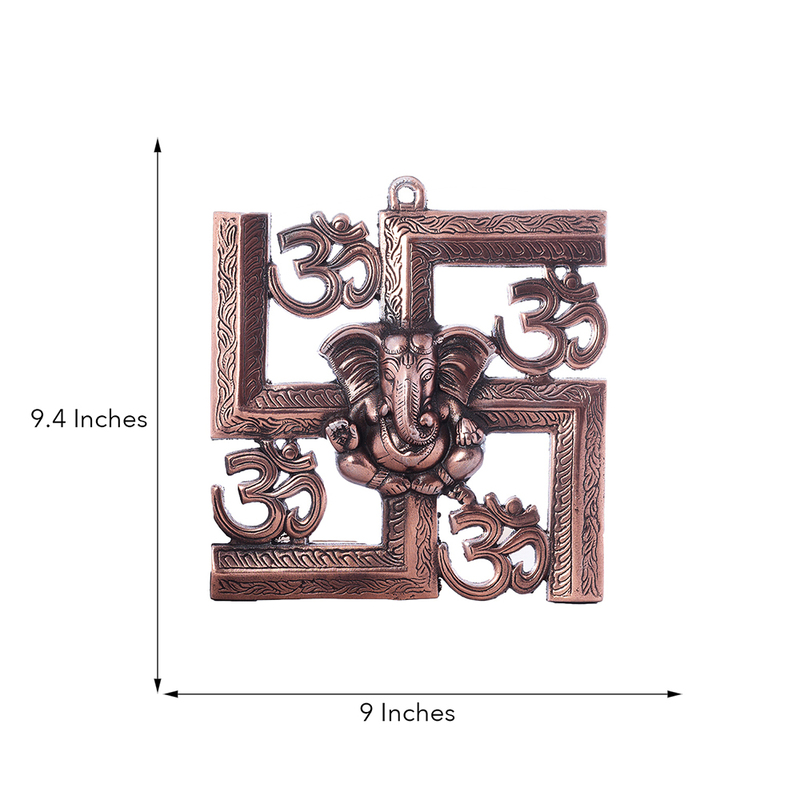 This is made with high quality durable metal which will never rust . 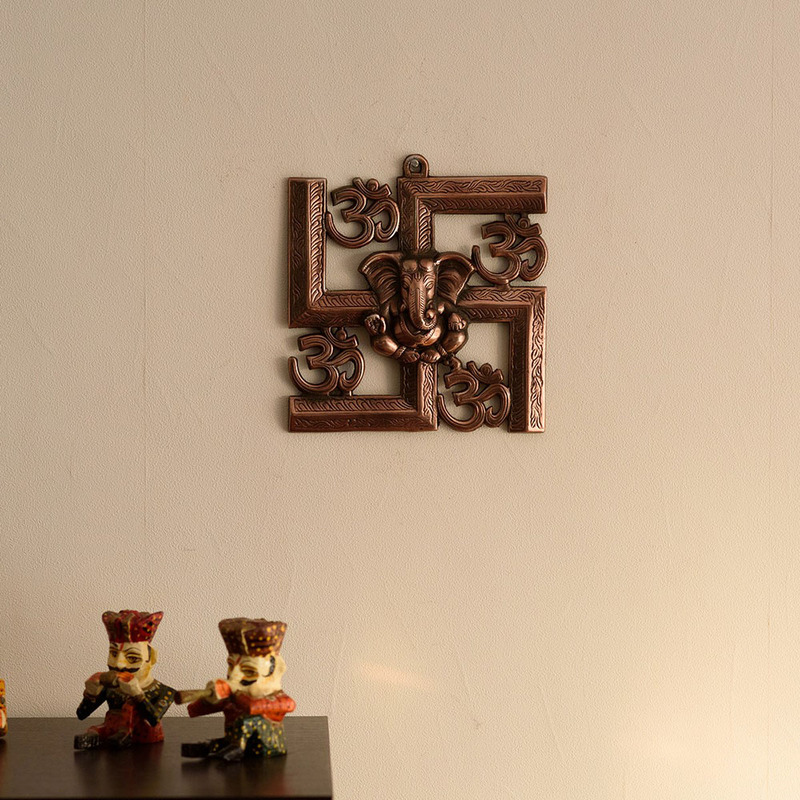 The status of Lord ganesh at the centre and the Om hanging at the side gives a feeling of divinity and happiness. This wall hanging can be hung at your home or your workplace. Show Less..